Buy right to begin with. 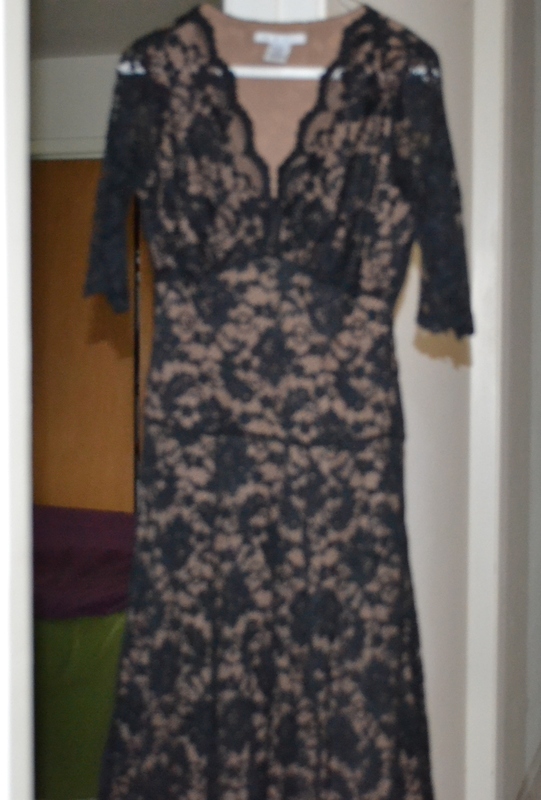 It is OK to have a few delightful dry clean only items in your closet. But always be aware of the maintenance costs when you are considering a purchase. If you work in a very conservative or style conscious profession you may need to get some dry clean only items for work. The rest of us can probably stick with wash and wear. Know the difference between “dry clean only” and simply “dry clean” on the care tags on your clothes. One is mandatory, the other is merely a suggestion. If is says “dry clean” you may be able to hand wash it gently and either hang or lay flat to dry. Heavier knits and other stretchable fabrics should be dried flat so the don’t get pulled out of shape by their own weight. 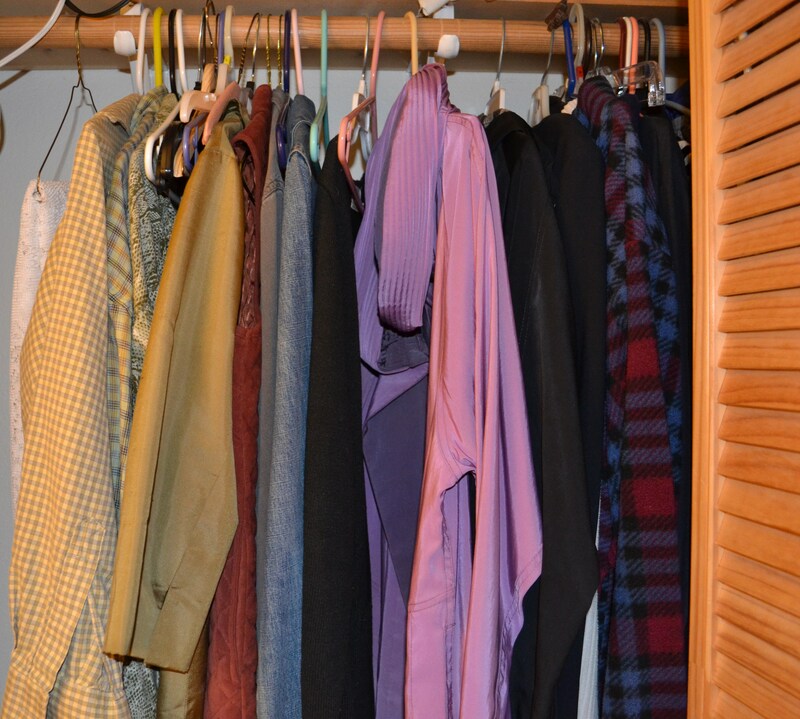 Lighter, non-stretchy items may be hung up on hangers and left on your shower rod, or hung outside. Silk can generally be washed if has a light colored dye. 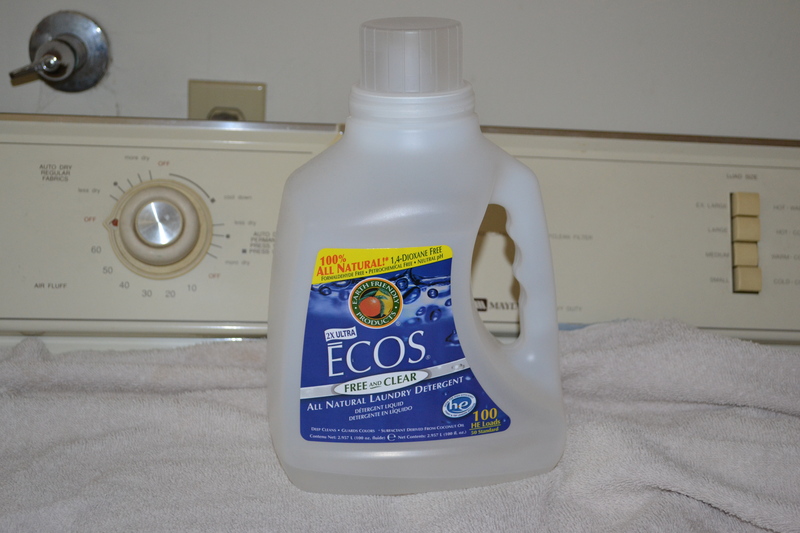 The brighter colors may fade if you wash them. Cashmere washes nicely. It may even work to put them in the washer on gentle, then lie flat to dry. Wool should NEVER be dried in a dryer. Do separate your darks and lights to avoid ruining the lighter items. And pull everything out of the dryer as soon as it is finished to avoid pilling. Don’t over-wash. Every time you wash an item it gets a little more worn out. Just keep your clothes presentable. Don’t wash them to death. If you get a stain, try to remove it immediately. The longer it sits the harder it is to get out. Different stains require different treatments. One product that does the trick in most cases is Oxy Clean. Just apply to the stain and wet down. Soak for a few minutes before you wash.
Get things taken up or in as needed. Especially if pants are to long. Hem them before the bottoms get frayed. You’ll look better and the pant bottoms won’t be ruined. Small tears can be usually be mended. If the tear is along a seam it is very easy. Otherwise you need to access whether it is worth the trouble. Take off your good clothes and hang them up when you get home. It is just to easy to start watering the garden or cooking dinner and then something might go very wrong. You’ll feel better anyhow if you separate work from play. Changing signals your mind that you are home. If you follow these simple rules you will come out ahead and still look fabulous. Don’t Throw Your Old Clothes Away—Mend Them! We all have them—a little pile of cloths that are still it great shape except for that missing button or stuck zipper. You could go out and get a new one. Or, you could spend five or ten minutes doing a quick repair and save the money for something else. Like everything else, some repairs are easier than others. Sewing on a button is at the extremely easy end of the spectrum. Replacing a zipper is one of the hardest. The first step is to create a sewing kit. Get a small box, about the size of the old cigar boxes. 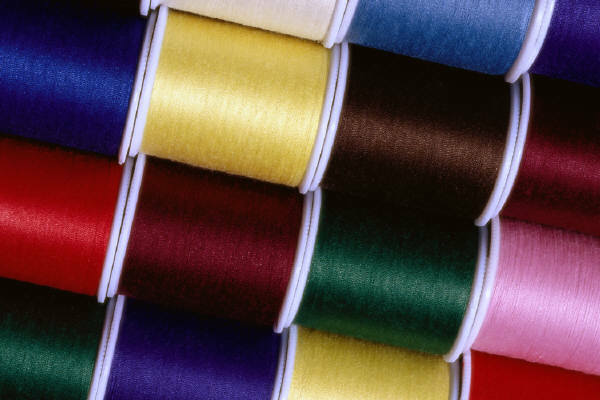 Gather several colors of plain thread, needles, straight pins and safety pins. Also get small pair of scissors, a thimble, and a very small box for stray buttons. The clear boxes that straight pins come in work well. Then it is time to sort through and get the things that need repair into a pile, and put them into some sort of container. A basket is nice but a cardboard box will do. Pick out the most important item and decide what it needs. If it is missing a button, do you still have the old button? Get out the sewing kit and find out. You may need to buy a new button. Take the item along if you need a new button, so you can match it to the old ones. Then thread a needle with thread to match the garment and tie a knot at the end. Go through the little holes in the button over and over. When it is on tight, clip the thread and tie another little knot. If the problem is a straight tear at the seam, turn it inside out and re-sew in matching thread using small stitches along the same place where the seam came out. Don’t make the stitches too big or they will gape when you turn it right side out. Those two repairs are very simple. But what if the tear isn’t along a seam? You may have to use a patch. This is where some judgment comes in. If the item in question is a pair of comfy jeans, by all means patch away. But if it is a silk business blouse you should realize that you won’t likely be able to use it again for its intended purpose. You may have to replace it. But—don’t throw the old one away just yet. Drop it into yet another container. This last container is the patch and scrap bag. To do a patch, find a fabric that is about the same weight as the target fabric. Cut a piece that will fit over the tear or hole generously. Fold under the edges of the patch and pin down with the straight pins. Then sew a seam all the way around the very outside edge of the patch. If the trouble is a misbehaving zipper the whole thing is going to take a bit more thought. I am including a link to show you exactly what to do. But you may be better off paying a seamstress to do it for you. It won’t cost that much and may save you a lot of trouble. While you are at it you should check out your shoe wardrobe. It is always a good idea to repair your shoes for as long as you can. This is generally a job for a professional. Even if you pay someone you will save hundreds of dollars over time. So next time you are tempted to blow your clothes budget over a little tear, think again, and bust out the sewing kit instead. If you haven’t been bit by the sewing bug yet, now is a good time to give it a try. 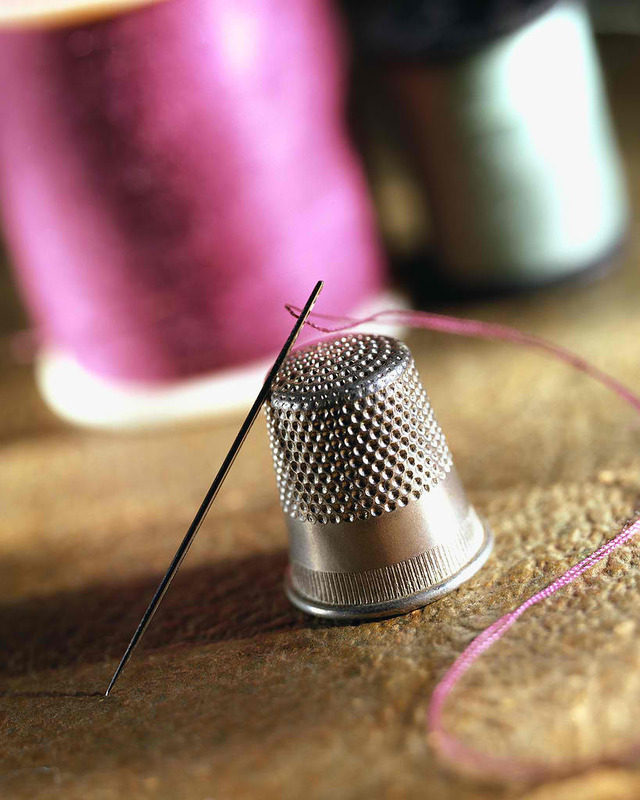 Sewing is a basic frugal skill, whether you are mending a rip in your old jeans or creating a whole new wardrobe. It may seem complicated at first, especially if you get mired down buying equipment. That is why I suggest getting a simple used machine at first, and only upgrade if it becomes necessary. To find a good used machine, try asking around, and if that fails, keep an eye out at garage sales or try Craigslist. Until you are proficient you don’t need bells and whistles, just a few basic features. Once you have your machine, you will need fabric and a pattern. And probably a lesson or two. Going to the fabric store may well prove to be a lot of fun. Try making something really simple like a gathered skirt to begin with. It is just two seams and a waistband with elastic in it. This way you will have an early success and not get bogged down. As for lessons, if you know a seamtress they might answer a few questions or even show you a thing or two. After that try your local adult education facility or Junior College. Almost every community has some inexpensive sewing classes available. After you enroll your teacher will guide you in picking good projects. If you are the type that does well with books try the local library. There are many great how to books in the sewing and fiber crafts area. Pick an easy one and work your way up. Also look at the magazine section in your local book store. If you see a pattern you like it may be worth the price of the magazine. Though the sewing industry has changed and it is harder to find a real old-fashioned fabric store there are still a few if you are willing to hunt them down. The other alternative is the “crafts store”. Go only if you must. Hang out, ask questions, and see what patterns are out there. There are thousands available for clothing, home decorating, and costumes. Even if you have never sewed before you will be able to find what you need. Once you learn this valuable skill you will be able to enhance your wardrobe, beautify your home, and maybe even make some money if you stay with it. Once you start it could become a wonderful obsession. With the overwhelming number of style choices it is easy to get caught up and buy the wrong thing. If you have been following my posts you know I recommend various ways to get your clothing needs met free of charge or for very little. But even then you won’t look your best if you buy things that don’t suit you. And sooner or later you will be spending a larger sum on something new to wear. In which case it is important to do it right. Unlike your best colors, which stay with you for life, your best cuts and styles can and will change with time. Though you may have a basic shape that stays the same, such as hour glass or string bean, you may eventually become a stocky bean or a large hour glass. Whenever you experience a significant change in weight it is a good idea to reassess your clothing decisions. This is true for both men and women. Though our clothes may be different in many ways, a man in the wrong silhouette will look just as bad as his female counterpart. 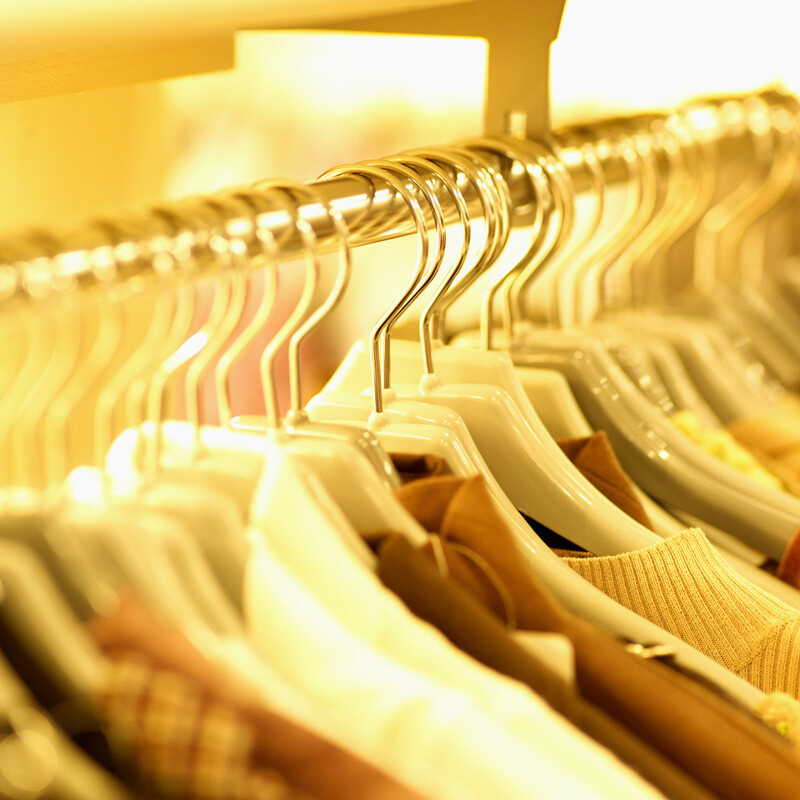 There are several measurements you need to know before going to the clothing outlet. These measurements include your proportions both vertically and horizontally. Your vertical proportions determine whether you are long or short-waisted, and also whether you are have long or short legs in relation to your torso. This will determine the best silhouette for you in terms of jacket length, The rise of your trousers and that sort of thing. Get it wrong and you will always look a little “off”. To make these measurements, get a measuring tape, a friend that you feel relaxed around, a mirror, and go to this site: http://www.my-virtual-makeover.com/vertical-body-type.html and then go here to find out if you are long or short waisted: http://www.my-virtual-makeover.com/vertical-body-type-waist.html You can’t change your vertical proportions, so it is important to learn to dress them properly. Once you know what you are dealing with, finding out what to buy is easy. There are reams of sources to tell you how to show off your tiny waist or cover your big hips. In general it is a good idea for women to buy tops and dresses that pinch in or are belted at the narrowest part of the torso. Other than that, check out this book: http://www.amazon.com/Dress-Your-Best-Complete-Finding/dp/0307236714/ref=sr_1_2?s=books&ie=UTF8&qid=1305566264&sr=1-2 . From it you will learn exactly what to buy to correct for any visual “flaws” and also how to accentuate your best features. So, if you need some new clothes, go get them. But if you want to save your hard earned money do your homework first. Tired of Your Wardrobe? Why Not Hold a Clothing Exchange! At the time of this writing there are millions of people in America that are forcibly frugal. The forcibly frugal often have no budget for clothes at all, but sometimes they still need to fill a gap in their wardrobes. Luckily there is a solution. Get together as many people as you can and hold a clothing exchange. A clothing exchange is part of the gift economy. It starts when a person with some organizational skills decides to do it. They must call at several members of their extended community and get them to involve themselves. Someone should arrange a space to hold the exchange. It can be a private home, or a public building. Sometimes a congregation will allow a clothing exchange to be held in their church. Use your imagination. Just make sure it is big enough. And it is nice if there is space to change and a mirror, but that can be worked around. If any of the organizers have clothing racks or other retail display equipment they should bring it. If not, try to get your hands on some as soon as possible if you intend to do this regularly. The more people that attend, the more successful the exchange will be. Try to invite people of many different sizes and shapes. That way no one will feel left out and the choices will be more interesting. The rules are simple. Bring what you no longer want or need. Take what you do. If someone touches an item it is theirs till they relinquish it. Very simple. Don’t worry if you only have a small contribution. This is not barter. When the exchange is over the remains go to the goodwill. Of course sometimes, if another exchange is coming up and there is a storage space available, the clothes are kept to seed the next exchange. There is no rule that the exchange must be limited to clothing. How about house wares, or books? Though many exchanges focus on women’s clothing, there are more co-ed exchanges happening every day, and more exchanges that feature other items as well as clothes. It may not be Macy’s, but clothing exchanges are FUN. They are also much more community oriented then another alienating trip to the mall. You can find some wonderful things at an exchange. I once was at an exchange where a woman was looking for a suit for a job interview. This size two woman found a conservatively cut name brand blue suit that fit her perfectly. That has the mall beat in my book. Here are some other takes on the exchange process. No doubt your community will form its own traditions. Many people, especially women, overspend on clothes. But not all clothes buying is over-spending. This is one of those areas where the line between need and want can get a little blurry. For humans, lacking fur, clothes are a basic need. But, also because we are human, they are also a cultural statement. They tell the world who you are, or at least who you think you are. They create a type of shorthand that allows other people to place you in the order of things. They allow you to express yourself without saying a word. And, if you want to create an income for yourself, they telegraph to the world your competence to do a job. For that reason all “business” clothing is a uniform of sorts. And for that reason, depending on what you are trying to accomplish, the $300 shoes might not be an extravagance. The key, as usual, is self-knowledge. The labor intensive part is knowing exactly what your major activities are going to be in the near and medium term, and then creating a wardrobe plan to fit your own very personal goals. Because we are so often judged by others based on our appearance it is not an extravagance to spend the time and/or money to find out what looks good on you. Get your colors done, either by a professional or a friend with a keen eye. Know your body type, as it is right now. Take a look at your activities and schedule. If you are an office worker your needs will be very different from a freelance business person who has to go to two or three networking events every week, and be dressed in different outfits every time because some of the same people will be there. In that case as many as five relatively pricey business outfits would not be a luxury but actually a necessity. There are still ways of tempering the expense, but in that case stinting on basic quality and fashion would not be one of them. When I started my first small business after my economic situation crashed I was actually handicapped by a lack of clothes to wear to networking events. It makes no sense to spend $40 on a women’s business lunch if you are only going to be rejected on the basis of your shabby attire. But, if you work at home and only go out for errands and fun you just have to come to terms with the fact that you don’t really need three pairs of Jimmy Choos. Probably not even one pair. There are lots of strategies for getting reasonably nice workable clothes at much less than retail prices. Second hand stores, garage sales, and my favorite, the clothing swap, are a few of these. Unless you are trying to build a high powered business in an area where the judgments run heavy, there is no reason to spend heavily on clothes at all. But, the frugal life is about abundance. So, if clothes are your passion, use the discretionary income that will accrue from leading a frugal life. Just be aware that you can’t really have everything, at least not all at once. So, if you know you don’t really need that new jacket or handbag but you are about to buy it anyhow, just go back to your true values. What are you giving up to get the shiny new thing? If you don’t like the answer just put it back.